One week to go before my little one is back to school. So it’s the final week of my laid back schedule in summer vacation. Probably this is the last recipe of the month. Things are going to become hectic in next couple of weeks. We are going to celebrate my son’s 6th birthday with a short trip. Need to finish back-to-school shopping too. Today I will share a pasta recipe, the favorite one of my son. 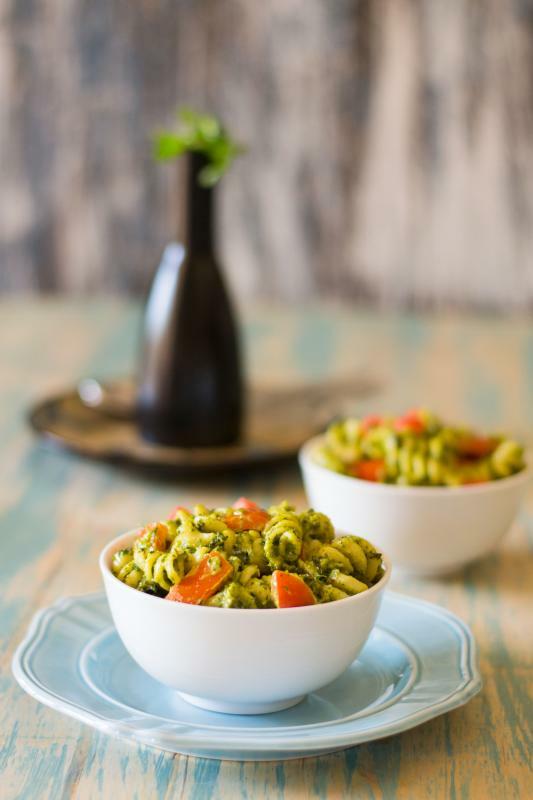 A pasta recipe that you can make either as vegetarian dish or add some pan roasted or grilled chicken to make it non vegetarian. People, who love shrimps more, can use the same instead of chicken. My son is a huge pasta lover; probably I have mentioned this in my blog several times. Pasta, noodles, soup and pizza is the list of his favorite foods. 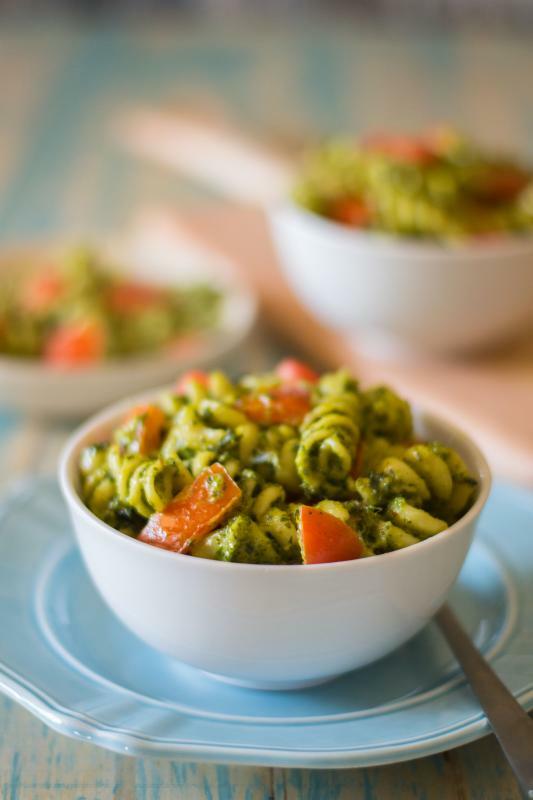 When it comes to pasta, his first choice is Creamy Alfredo (click here for the recipe) and then Pesto Pasta. Kale or borecole is the vegetable with greens or purple leaves; it has so many varieties, enriched with high nutritional values. Last week we picked some Kale from grocery stores which I usually use Kale only for salads or for some soups. This time I was searching for some new ideas to make a dish with Kale. So for the first time, I used kale to make pesto sauce in the place of basil. Not only it tasted delicious, it made the pasta healthy too. It is great way to add green stuff on your kid's meal. This is a good alternative for the people, who are not too fond of pasta dishes with tomato or Alfredo sauce. The recipe is very easy and flexible. You can use Spinach or Swiss chard in the place of Kale. I used Parmesan cheese which can be replaced by goat cheese or any other different cheese or even ricotta. If you have some leftovers, next day you can warm it with a splash of water. The pasta holds up nicely for longer time. 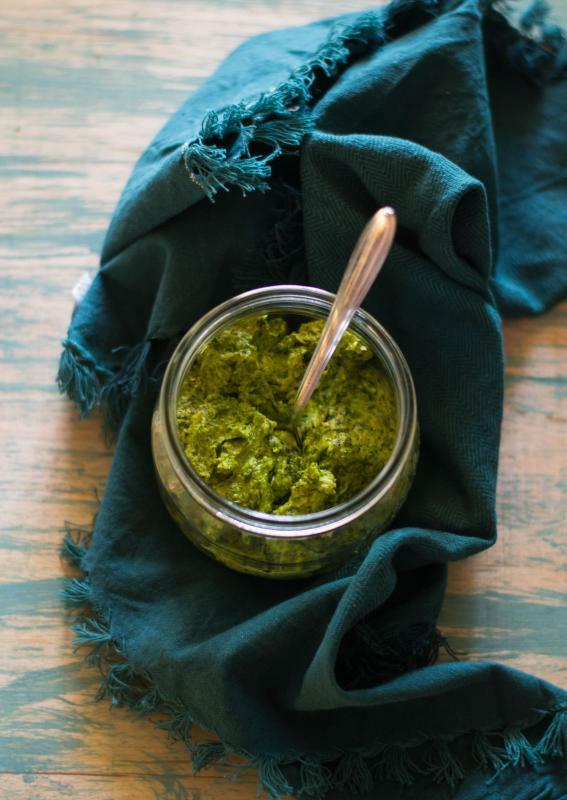 The Pesto takes about 15 minutes to be prepared. The recipe is adopted from Food52. 1. Take a large pot of lightly salted water and bring to a boil. Get a large bowl of ice water and set it aside. 2. Add the kale to the boiling water, cook for about 5 to 6 minutes. 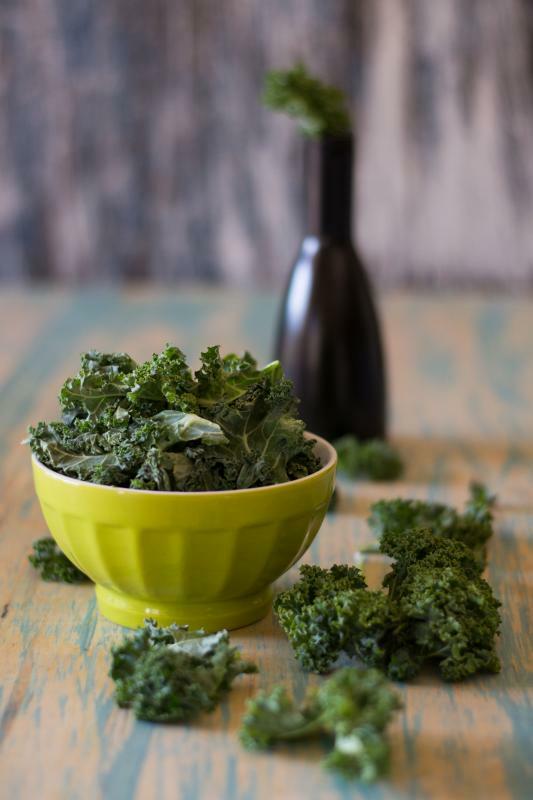 Remove kale from boiling water and plunge the kale into the ice water. This process is called blanching. 3. Put the kale on a stack of paper towels. It helps to soak the extra water. 4. Add kale, garlic, Parmesan cheese, hazelnuts and black pepper to a food processor or a blender and process it until well combined. 5. Slowly add the olive oil and lemon juice to the food processor, process until they are well mixed. 6. Take a pan, boil some water and add salt. Add pasta to it and cook as per package direction. Once it is done, strain the excess water and set it aside. 7. 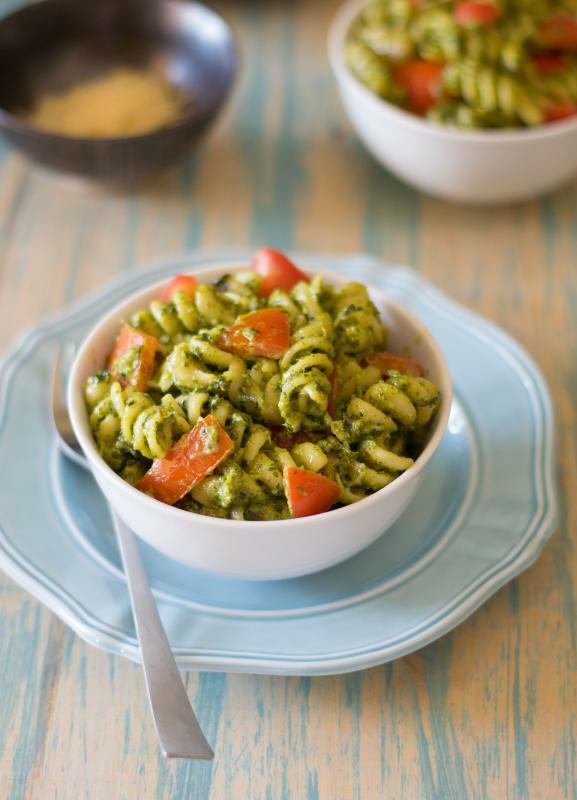 Take a saucepan, add the pesto and cream to it. Cook over medium flame until it starts to bubble. 8. Add cooked pasta and tomatoes and mix well. Add salt and pepper to taste. 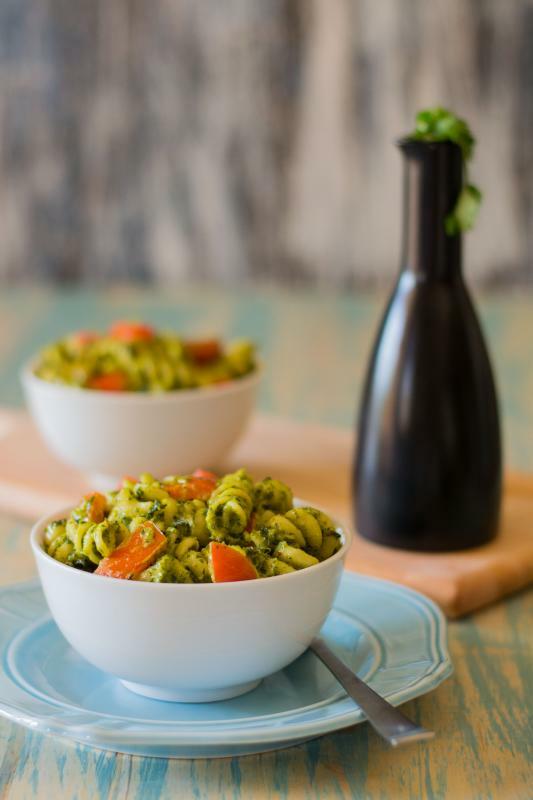 Creamy Kale Pesto Pasta is ready! Serve hot. Note : This is the vegetarian version. You may add some pan roasted or grilled chicken to make it non vegetarian. People, who love shrimps more, can use the same instead of chicken. A great idea! That healthy pesto must taste wonderful.